Our patented bleacher scoring table model will help you make the most use of the floor space of your tight gym area. 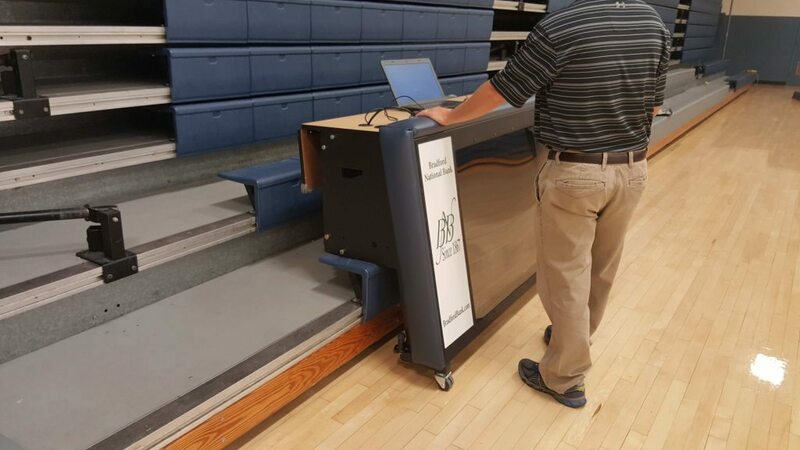 Our Bleacher Scoring Tables are in lengths of 8ft, 10ft, or 12ft! 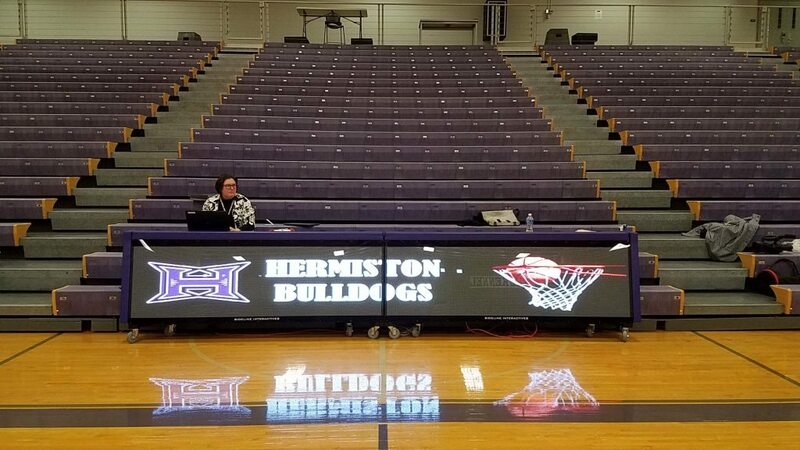 Contact us to get a quote on a Scoring Table for Your Bleachers Today!